All faith communities (i.e. spiritual or religious communities) experience domestic violence at the same rates. 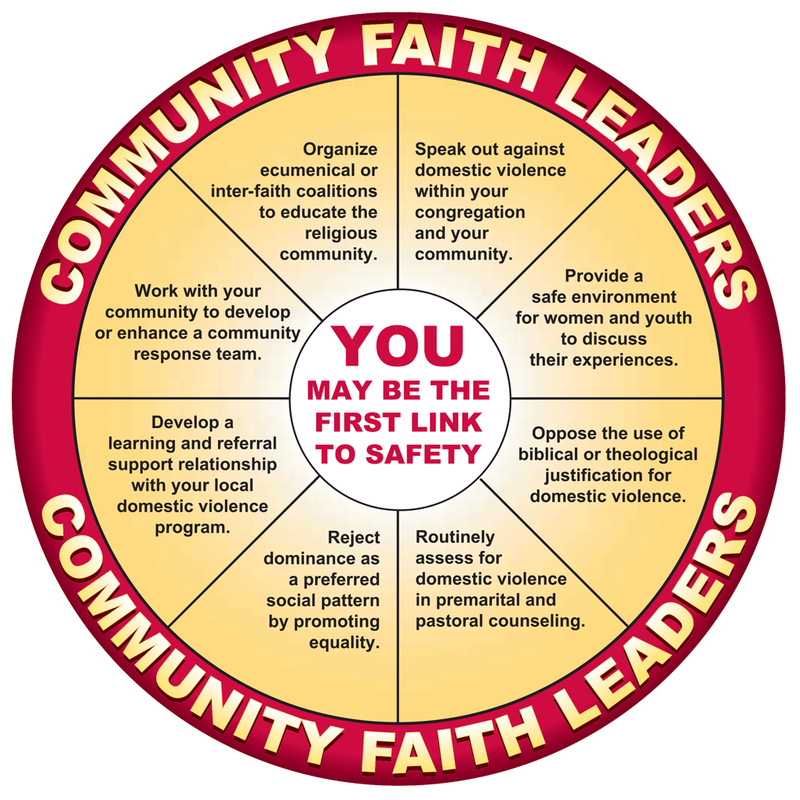 However, for women in faith communities, the faith community may play a critical role in responding to abuse in her life. Who are Newcomer Women in Faith Communities? Newcomer women in faith communities are immigrant, refugee, temporary foreign worker, or non-status women who identify as belonging to a faith community any sect or denomination of Christians, Jews, Hindus, Muslims, Buddhists, or Indigenous Spiritualities. They may actively attend a specific congregation or events, and be connected to a community of other people identifying with their particular faith. How is Violence Against Newcomer Women in Faith Communities Distinct? This section will cover the specific experiences of violence that newcomer women in faith communities may face. Please add this information to what you learned in the sections on violence against women, the types of violence and the warning signs of domestic violence. How Can Faith Communities Respond to Abuse?